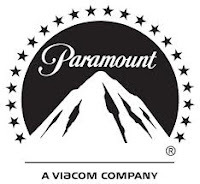 Paramount Pictures Internships are offered in the spring and summer for both undergraduate and graduate students. Positions are available in Finance, Accounting, Marketing, Digital Media, Legal, Human Resources, Operations, Production and Engineering. The internships are paid positions; housing and transportation are not included. Undergraduates students must be in their junior or senior year of college before applying. Graduate students must have completed their first year of graduate school. Hard-working students who are interested in experience in the entertainment industry are encouraged to apply. Applications will be considered according to the student's field of college work, past work experience or previous internships, and drive and enthusiasm. The internships last ten weeks and are located on Paramount Pictures studio lot. Paramount Pictures began in 1912 and is now one of the largest film production companies in the country. The internships provide students with an opportunity to utilize their skills within the entertainment industry and work in Hollywood, California. They will receive training and instruction from a mentor and work with senior management and participate in presentations and other events.